Affordable health care is the cornerstone for success at all ages in life. Research has shown that Florida continues to have one of the highest uninsured rates in the nation. 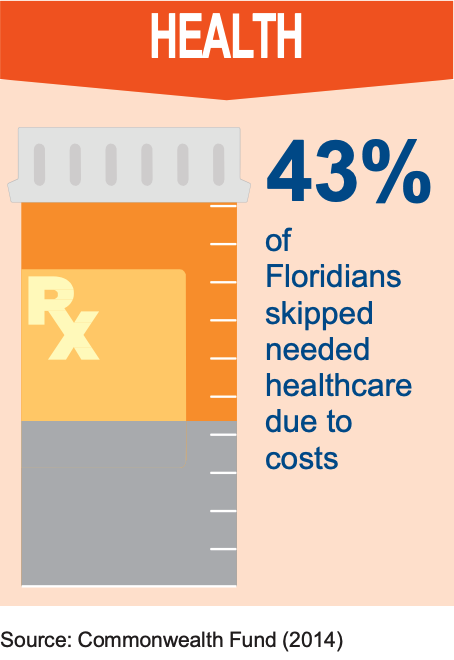 Many Floridians go without needed health care in order to make ends meet financially. SUPPORT legislation that expands access to quality healthcare in Florida. MAXIMIZE home and community-based services for older adults to reduce nursing home costs and waitlists. INCREASE prevention and treatment services funding for substance use disorders and mental health. Learn more about our plan for access to health care plan and help make meaningful and lasting change in our community. For more information, contact advocate@unitedwaymiami.org or call (305) 646-7093.